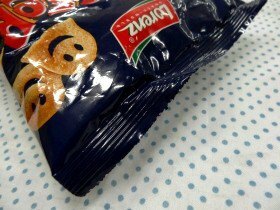 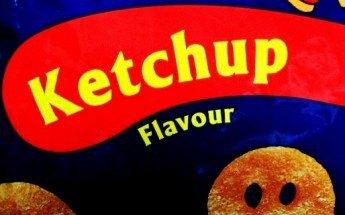 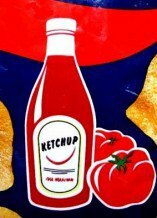 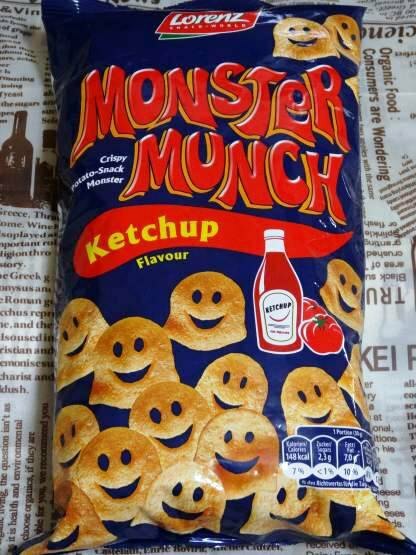 Ingredients: Vegetable oil, potato puree powder (20%), corn starch, wheat flour, potato starch, sugar, salt, flavouring, tomato powder, paprika powder, yeast, flavour enhancer: monosodium glutamate, disodium guanylate, disodium inosinate, acid: citric acid. 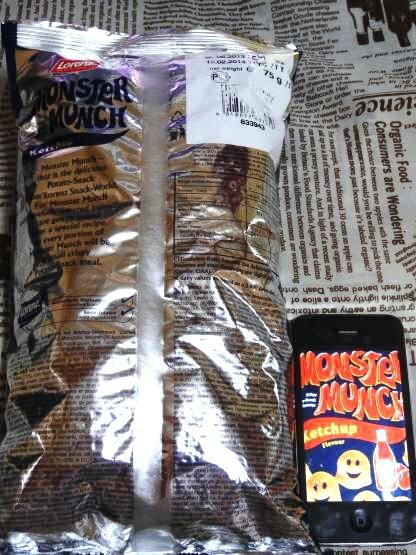 May contain milk. 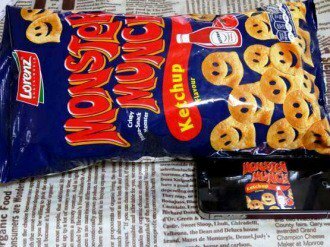 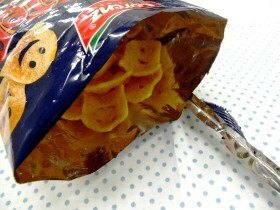 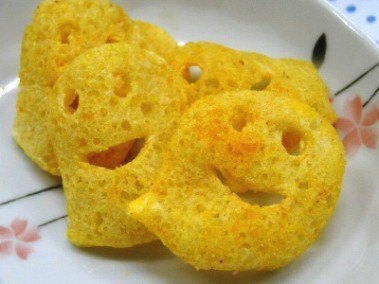 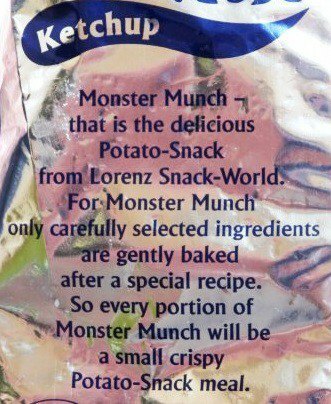 Monster Munch - that is the delicious Potato-Snack from Lorenz Snack-World. 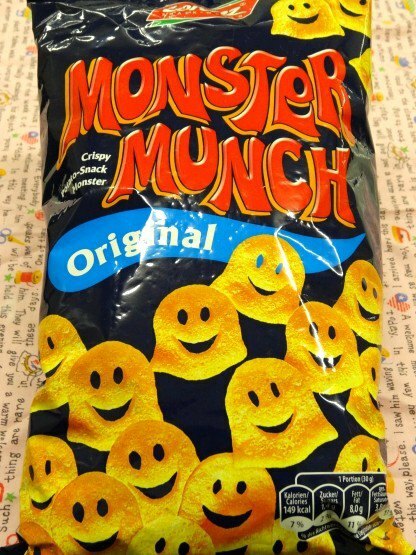 For Monster Munch only carefully selected ingredients are gently baked after a special recipe. 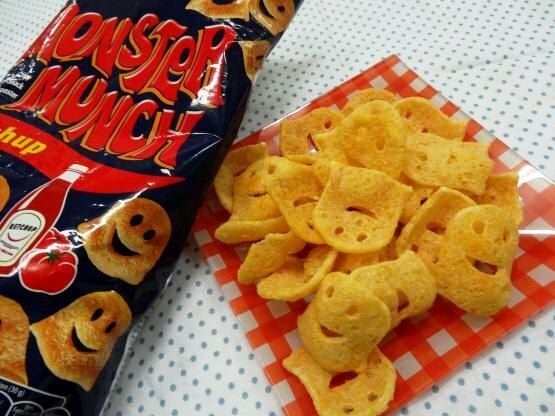 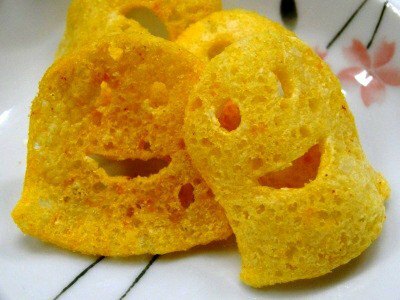 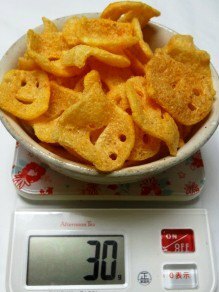 So every portion of Monster Munch will be a small crispy Potato-Snack meal.